adjective - providing amusement or enjoyment. Two years ago, I was an editor for C! Magazine, and one of the last articles I wrote about was a group road trip with a Toyota 86 TRD, a Kawasaki Ninja superbike, and the pre-production Honda CR-Z Mugen with all the fancy stickers and a somewhat different look altogether. I happened to be behind the wheel of the 86, and while driving behind the CR-Z in twisty and foggy mountain roads, I thought to myself, “what a fascinating machine to look at”. Having only had very limited time behind the wheel of the CR-Z, I told myself that I would spend more time in that car someday – and here we are. 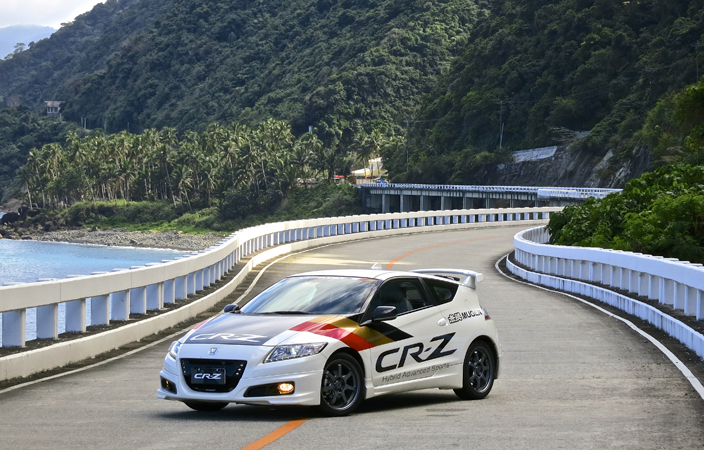 In the same way that I may have grown up a little bit in the past two years (tooting my own horn here), the Mugen version of the CR-Z seemed to have done the same. Gone are the Mugen stickers, the boy racer wheels (which I secretly like), and the barrage of LED lights on the center grille. The overall package looks more organic and at home in the bustling streets of the metro instead of a race track, but that is not to say that it has lost any of its head-turning abilities and standout factor – because it hasn’t. There isn’t anything on the market that looks as Nippon as this, and it wastes no time trying to hide it. Its design is honest and genuine, which I really appreciate. 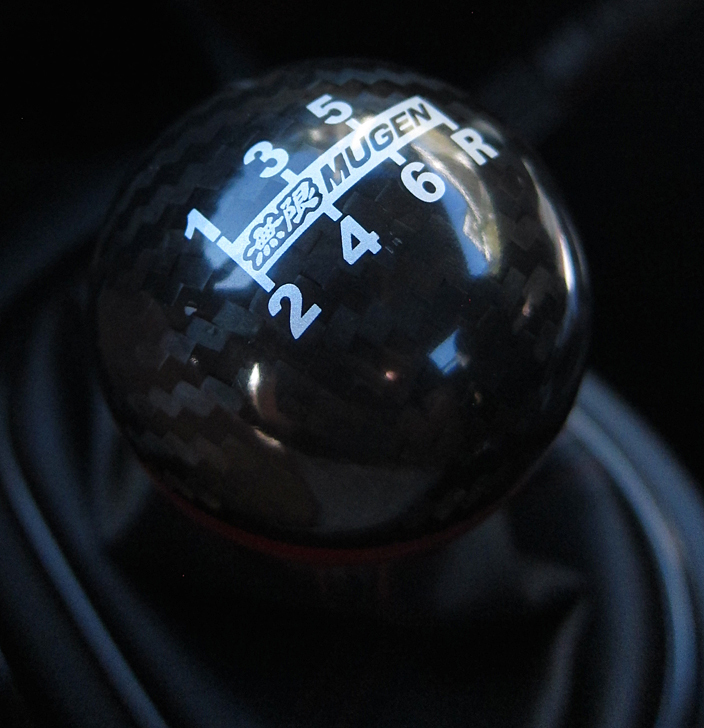 As I entered the car, I was greeted by the same futuristic instrument panel, the same perfect driving position, and that same beautifully crafted Mugen gear lever covered in Carbon Fiber goodness. Holding it and swapping cogs was as nostalgic an experience as a secret handshake you once shared with a childhood friend. Arigatou gozaimasu! Turning the ignition on this car will always remind you that it has an electric motor, because firing up the engine is not firing it up at all. There is no friction or vibration upon start up. 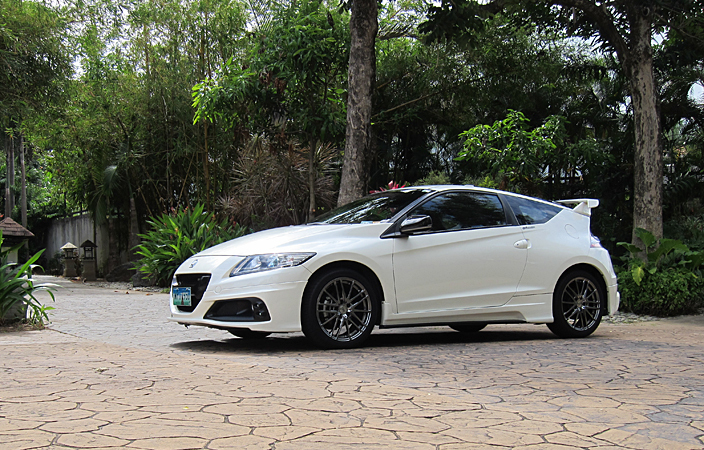 It feels no different from waking up your laptop from sleep mode and while that may leave you emotionless, the sound from the Mugen exhaust should more than make up for it. Its 1.5-liter 136 horsepower electric and combustion engine is not particularly fast and it will never scare you, but ironically it also does not feel slow and this may be aided by our country’s traffic conditions, a manual gearbox, and the electric motor that gives a little boost of torque, which peaks at 190 Newton Meters. 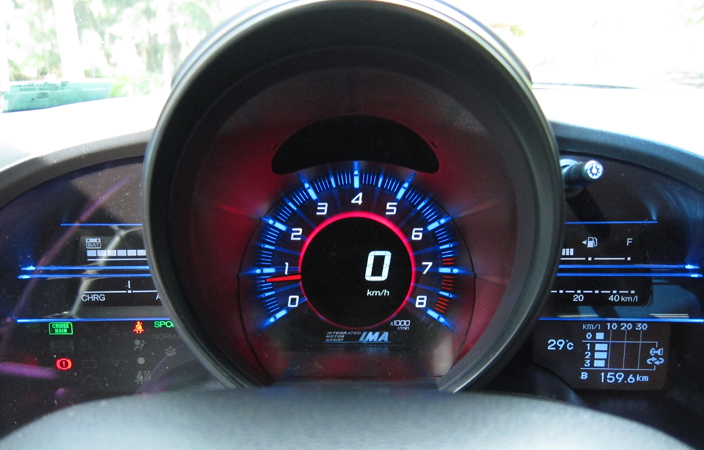 The car has three driving modes: Eco Mode – which is far too sluggish and heavy, Normal Mode – which is as interesting as a loaf of bread, and Sport Mode, which I absolutely adore. In Sport mode, the car comes to life, and when a car is alive, you are too. The rev counter bleeds red, the throttle response is immediate, Jimmy Hendrix takes over the exhaust note, and the steering feel all of a sudden is the man of the hour – it is pure entertainment. 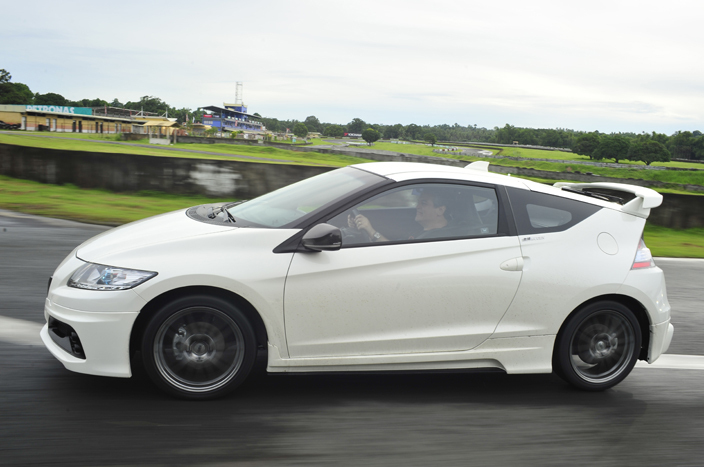 The CR-Z is so fun, brilliant, and sporty that you could be forgiven for forgetting that it is in fact, a hybrid. Until of course, you decide to press the S+ button on the steering wheel to give you a little boost when the battery has some extra juice to release – the process is very Fernando Alonso. If there is anything that stands out in the CR-Z beyond its wild exterior that widens the eyes of children and adults, it would have to be the ultra precise 6-speed manual short throw gearbox. I believe that it has the most contribution in adding character and personality into the driving experience of this sport hybrid. It deters and distracts the driver from wanting more power by allowing one to rev it to the heavens and back as many times as they wish, without the threat of wrapping the car around a tree, or worse, turning oneself into a Honda Hybrid Maki Roll. No wasabi for you there. Also, something worth noting are the pedals. They are neatly placed, so heel and toe shifting is a seamless feat, although a slightly slanted gas pedal would’ve been nice to make it just a little bit more accessible. Now I know there is so much hype about the Toyota 86 being the favored son of the sports car segment. Given the similar price point, I will always respect those that buy it because it does live up to the hype. However, it is also plagued by being a dime a dozen in the metro, and to me that somewhat diminishes the desire to have one. 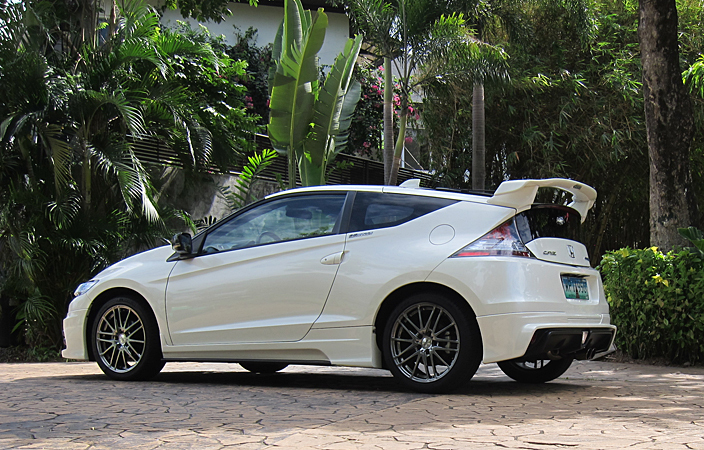 I see more Lamborghinis than I do Mugen versions of the CR-Z, which is not bad at all for a 1.9 million Peso toy. After all, if I were to spend on a toy, why would I want the rest of the kids in the playground to have the same one too? I want to be the star, and that is exactly what this car is. There wasn’t a single stoplight I was in wherein people didn’t look twice at the very least. Some even took out their smartphones and snapped away, while one gentleman at the Fort even posed for a selfie in the middle of a busy intersection for crying out loud. You see, while the 86 is a nod to the beauty and simplicity of the past, the CR-Z is a digitally altered throwback post from the future. It is the future. So instead of thinking that Honda has watered down the fun by slapping an electric motor to their sport hatch, think of it instead as Honda making the concept of a hybrid, joyful and fun. 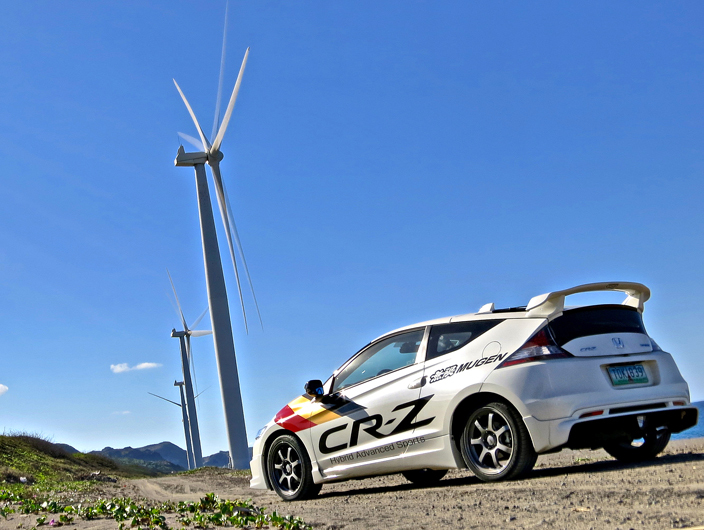 Above and beyond any of that, the true success of the CR-Z is the way it represents and covers everything that is great about Honda – efficiency, technology, precision engineering, and social responsibility. «4 different winners in 4 races, VIOS Cup opens up with a bang!